The “fruit basket” of Baltazar van der Asta, for example, contains many symbols to show that he is concerned about what is happening around him. The presence of defects and wormholes, butterflies, dragonflies and flies – is very unusual for still lifes. If you pretend that here apples symbolize victory over sin, and insects and lizards often associated with evil, then this ordinary plot – a lizard chewing apple, dropped out of the basket, turns into a scene of the struggle between good and evil. 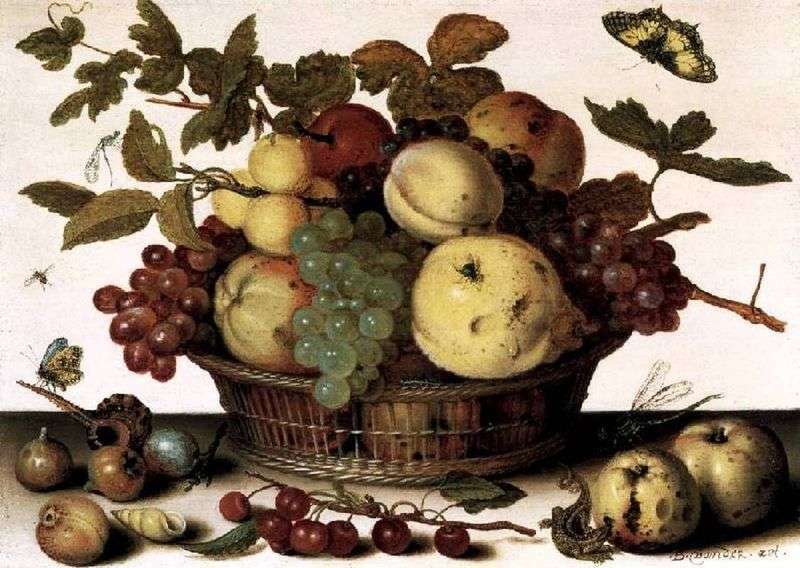 Description and meaning of the painting Fruit Basket by Baltazar van der Ast.